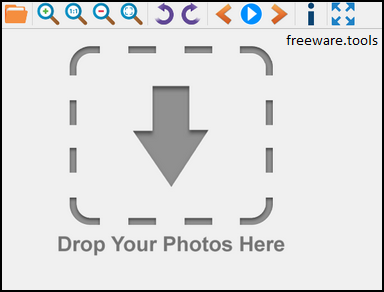 Advanced Photo is a small application designed to act as a photo viewer and to help you open multiple types of image files. The software is easy to use and portable, which means that it can run straight from a removable memory device any time you need a trustworthy photo viewer. View multiple types of images Advanced Photo is simple to use and does not require a long time to load, since it offers exclusively an image viewing function. The software allows you to open a wide variety of image formats, including some of the popular types, such as JPG, BMP, GIF, and PNG. Advanced Photo is a small application designed to act as a photo viewer and to help you open multiple types of image files. The software is easy to use and it can run with ease whenever you need a trustworthy photo viewer. Advanced Photo is simple to use and does not require a long time to load, since it offers exclusively an image viewing function. The software allows you to open a wide variety of image formats, including some of the popular types, such as JPG, BMP, GIF, and PNG. It also supports TIF, ICO and ICNS formats. The software can automatically resize the image, as it opens the file, to the current dimension of the window. Thus small images, such as icons are by default stretched in order to fit the minimum size of the window. A photo can be quickly opened, using the dedicated icon at the top left of the software window. The zooming function of Advanced Photo is operated with the help of the magnifying glass icons located at the top side of the window. Alternatively, the zoom in/zoom out functions can be operated by modifying the dimensions of the window. The Maximize symbol at the top right corner enables viewing the image in full screen. Additionally, aside from zooming in and out, adjusting the software window causes the photo itself to follow the edges of the window. Although Advanced Photo is a simplistic application, it can render the images in high quality and allows you to resize them without permanently affecting the photo attributes.